Medivisor Health India in collaboration with Max Group of Hospitals from New Delhi in India opened its office in President Plaza in Samabula today. Max Group of Hospitals has 14 state of art hospitals in India which specialise in cardiac and cancer surgery, transplants, neuroscience, orthopaedics and spinal, weight loss and cosmetic surgery. Indian High Commissioner to Fiji Vishvas Sapkal says the health co‑operation between Fiji and India is strengthening and moving forward. 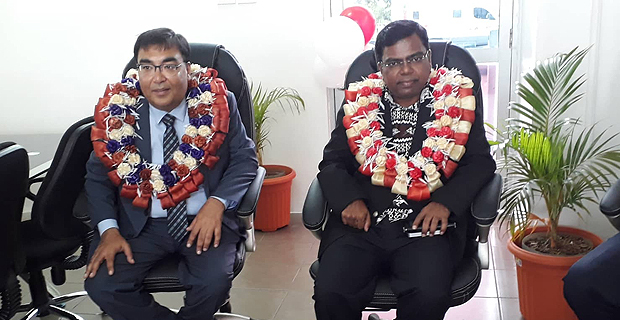 Max Health Institute Ltd Senior Sales and Marketing officer Anas Wajid says the people of Fiji will benefit from the fact that these options will be cheap, there is good infrastructure support and a large pool of doctors in India.